When Venus retrograded back out of your communication sector last weekend she left the job of giving your heart and relationships a voice unfinished, but purposely so. Mercury's return yesterday puts the planet of communication on the job and with lucky Jupiter returning early next week, this isn't just the start of some of your most important weeks of the year for communication, talks and anything requiring you to have your head in the game, but the most important months in a decade. 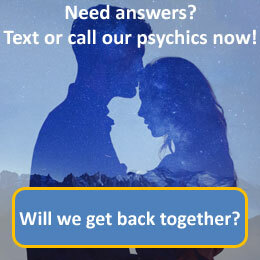 Call 09069 669 604 for a more detailed reading with our psychics today. Cancer, the crab, is the fourth astrological sign in the Zodiac, originating from the constellation of Cancer. Cancer is considered a yin sign or alternatively feminine or negative sign, meaning it is more introverted. It is considered a water sign, and is one of four cardinal signs. Cancer is ruled by the Moon. Cancer's physical characteristics are associated with being average or below average height, well endowed, having an athletic body and short legs. Their athletic build allows for strong, confident people. They see Cancers as usually having brown hair, a well-defined face, a tan complexion, a prominent forehead, penetrating eyes of green or blue. In essence, the upper body is proportionally well balanced in proportion to the lower, which may make for a rather smooth-going, athletic appearance. Cancerians are considered home loving, emotional, sensitive and warm. Although they can be moody, gloomy and indecisive at times.